Forget dinner, drinks or going out. 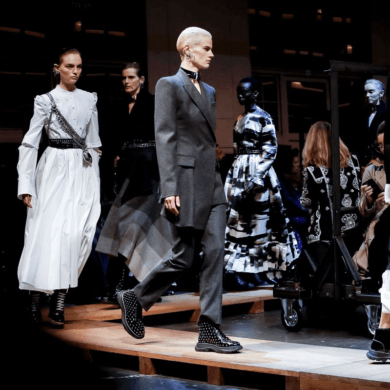 For a fashion student, it’s hard to imagine any Friday night more perfect than watching your own collection come down the runway at Lincoln Center. 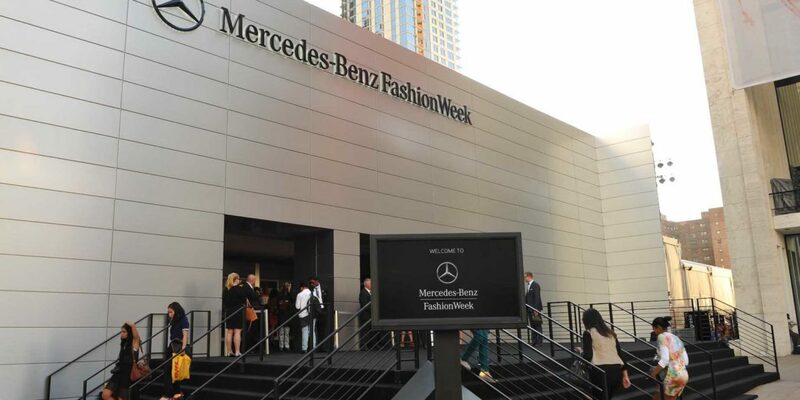 For ten designers, that dream came true on September 6th as Mercedes-Benz Fashion Week witnessed the debut of the Academy of Art University’s Spring 2014 collections. 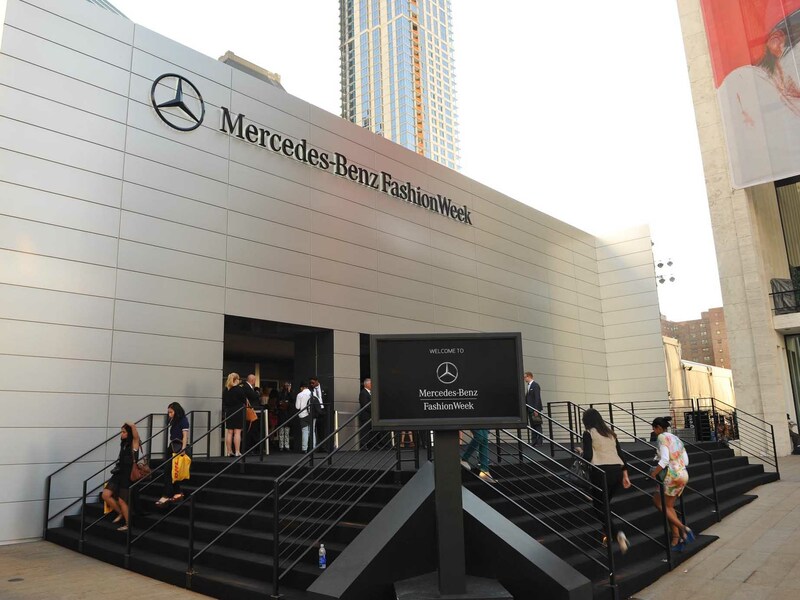 To set foot in Lincoln Center during Fashion Week is to be electrified. 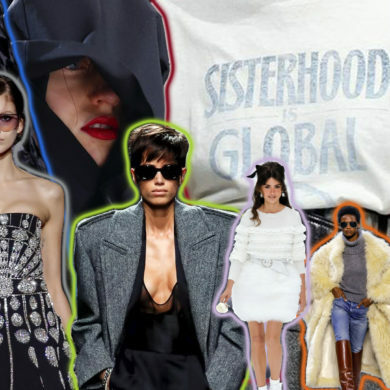 From the anticipation of viewing the latest creative achievements in the industry, the shared enthusiasm of editors, influencers and guests, and the INSANE ensembles everywhere you turn, there really is no other place like it. On Friday night, our MFA and BFA designers were working tirelessly behind the scenes of it all, steaming and sewing their finishing looks, helping to fit their models, and preparing for their collections’ premiere at the most high profile event in this field. Peeking out from backstage, the rows of seats flanking the runway were packed with fashion editors, retailers, recruiters and, of course, students (both past and prospective) who had come to witness the show. Behind them standing invitees teetered in their stilettos, iPhones flashing, as they tried to get a glimpse of these designers’ work. 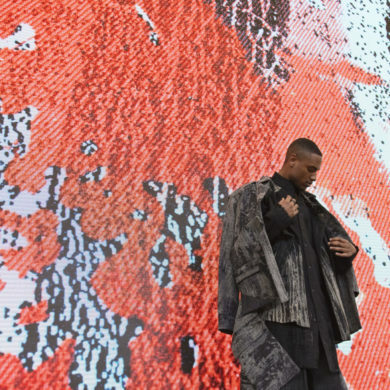 The University kicked off its ninth season showing at Fashion Week with a menswear collection designed by BFA alum Didvik Kuang. Designed in the aesthetic of the ultimate ’80s heartthrob, Julian Kaye (a.k.a. Richard Gere in Paul Schrader’s “American Gigolo”) Didvik’s collection channeled the effortless appeal that Armani’s wardrobe inspired in the film. Vibrant pleats, patterns and prints boldly announced the first of the MFA collections that came next. Designed by Gwen Shihyao Lai, the bleached beautiful Ikat suits and printed button downs were inspired by the Filipino artist, Thaddeus Ochoa Padaguan, whose signature style incorporates elements of nature including tree bark, sunlight and fire. Marine Rongrong Wei’s collection brought it back to the boys. As her menswear line took the runway, the models appeared to have walked out of the 1930’s. Oversized silhouettes in different combinations of Henley shirts and denim jackets depicted the perfect vintage wardrobe for Spring 2014. The first of two designer collaborations followed with MFA student Shanshan Bai’s and Winbo Shiau’s collection. Sculpted, exaggerated jackets and pleated skirts in shades of blue were softened with Winbo’s intricate navy knitwear. The designers’ complementary styles were obvious in each look as these creative combinations made their debut. Leslie Dilloway’s menswear collection came next with a series of looks that struck the perfect balance of buttoned up and undone. Detailed ethnic prints and textures were infused with a 1980s, grunge feel, and the drawstrings throughout the collection only solidified this casual, sporty affect. Even a fanny pack, the signature of the uptight tourist, was featured on two of the looks and was transformed into the ultimate accessory in laid back cool. Like, really?! From slouchy chic to all the right angles, MFA Fashion Design student Vicken Derderian’s collection followed. With a formal background in architectural design, Vicken’s collection sent out look after look that was rooted in graphic prints, structure in dimension and the kind of drama inspired by skyscrapers. With models towering at over six feet, these works of art made as big a statement on the runway as any city skyline. BFA students Ryan Morar and Melissa Avalos debuted their collection next. Inspired mainly by Robert Rauschenberg’s “Combines” mixed media artwork, elements of each garment were deconstructed to create different shapes, new silhouettes, and give a raw, free form aesthetic to the collection. Melissa’s textiles were literally painted on this collaborative collection that closed out the menswear for the show. The final looks of the night transported the audience from the top of the Big Apple to deep under the sea. MFA Fashion Design student Nika Tang sent out a series of show stopping, sunfish inspired looks as gorgeous as any flora or fauna you would find in the reef. Ruffle tanks, tops, coats and capes were decorated in traditional macramé harnesses and hand embellished with seed beads reminiscent of the finest caviar. Models turned mermaids turned muses as the final collection of the night washed over the fashion audience, affirming the tidal size talent of these designers. As the lights came up for the finale walk and designer bow, the theatre erupted into applause. Backstage, the celebration was no less spectacular. The designers’ euphoria over having just witnessed their work premiere at Mercedes-Benz Fashion Week was palpable: in the smiles for their proud family’s cell phone cameras, their congratulatory embraces from the models who had served as the vehicle for their inaugural show, and the knowledge that, for all of them, this is only the beginning. All runway photos courtesy of Randy Brooke / WireImage. 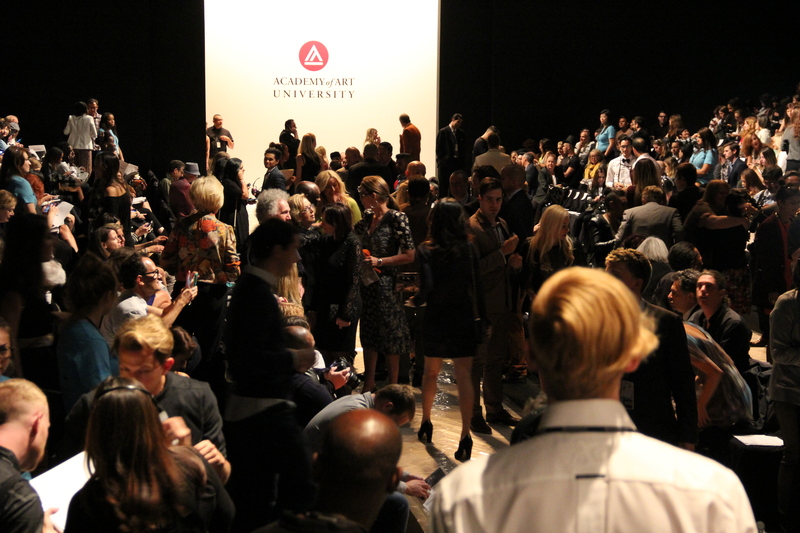 For more on the Academy of Art University’s Spring ’14 Fashion Show at Mercedes-Benz Fashion Week, click here.